If a child is diagnosed with a solid tumour cancer (e.g. brain tumour), surgery can be done to remove all or part of the tumour. Surgically removing a solid tumour is an important step in the process of eliminating the cancer cells from the child’s body. Not all children will undergo surgery, however. For example, leukemia and lymphoma are cancers that affect the circulatory and lymphatic systems, which are found throughout the body as opposed to one specific local area. Chemotherapy is a term that encompasses many different medications that target and kill cancer cells in the body. Chemotherapy treatments are given either by an intravenous method (i.e. a needle inserted into the patient’s vein) or in pill form (e.g. taken orally). In some cases, a patient will have a catheter (portacath or central line) inserted into their chest so that the chemotherapy can be delivered directly to a larger vein. 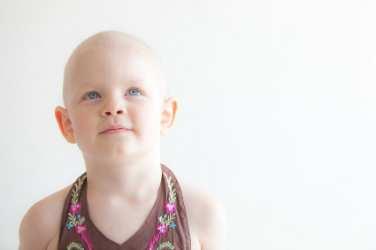 Depending on the type of chemotherapy used, a patient can receive treatment on a daily, weekly, or monthly basis. Radiation therapy involves targeted application of high-energy particles or waves to a specific area of the body in order to damage or kill cancer cells. Radiation therapy is administered under highly controlled circumstances in a hospital setting. The patient usually receives radiation therapy for several minutes a day over a period of several weeks. Bone marrow is a tissue found in the bones; it contains blood-forming stem cells which can divide or mature into white blood cells, red blood cells and platelets. A bone marrow transplant involves high doses of chemotherapy administered over a period of several days to destroy the bone marrow and stem cells, followed by an infusion of stem cells (either the child’s own stem cells, harvested previously, or cells from a donor) to produce new blood cells. A bone marrow transplant requires hospitalization for several weeks, often in isolation, to ensure that the child’s immune system can recover. Bone marrow transplants are most often done with patients who have leukemia or lymphoma.